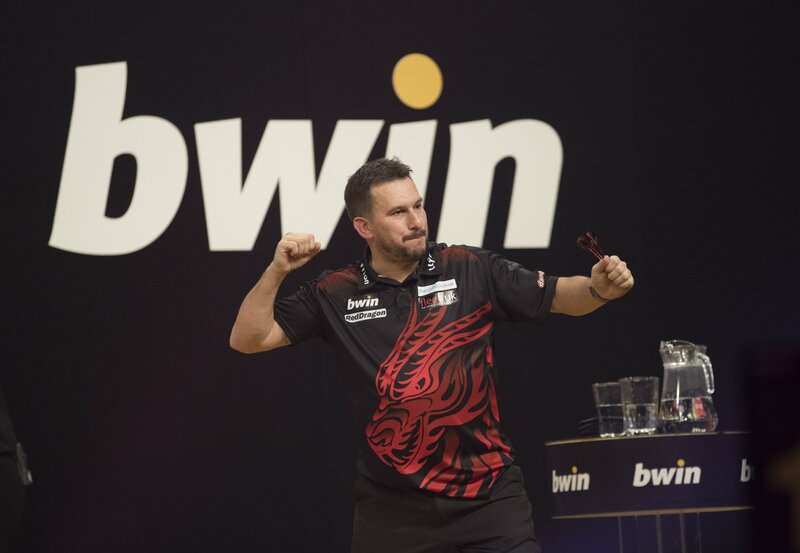 JONNY CLAYTON landed his third PDC title with an 8-4 victory over Gabriel Clemens in the final of Players Championship 10 in Barnsley on Sunday. 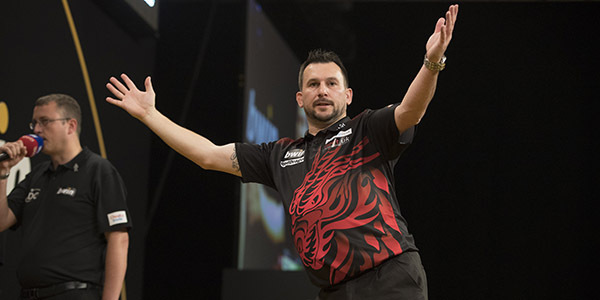 The second day of the ProTour weekend double-header saw Clayton double his tally of Players Championship crowns almost a year on from his last PDC title win at the Austrian Darts Open. Clayton had to survive a match dart in his 6-5 first round win over Northern Irish youngster Nathan Rafferty, before a more comfortable 6-2 success over Zoran Lerchbacher saw him reach the last 32. There, the Welshman averaged 102.7 in edging past Vincent van der Voort 6-5, and then posted another ton-plus average in his 6-2 victory over Marko Kantele. In the quarter-finals, Clayton came through a third deciding leg of the day against Jermaine Wattimena, before an impressive 7-2 win over Ian White saw him reach the final. Clayton saved his best performance of the day for the final game of the weekend, averaging 103.3 in his first final of the year to secure the £10,000 top prize. "I'm enjoying playing against the best players in the world, and hopefully I can win a few more titles this year," said Clayton. "I had a dodgy start today, I got through a tough game with Nathan Rafferty who played really well and from there I started to relax. "I'm chuffed to have won that final because Gabriel is a very good player and it won't be long before he's in the top 32 or top 16 of the world." The final began with Clemens missing the bull for a 170 checkout attempt and Clayton took out 116 to hold in 15 darts, before the first break of throw went to Clayton to double his lead. Clemens then found a foothold in the match and, after Clayton went low on double top, Clemens tidied up 31 to break back and reduce the deficit to 4-3. An unpredictable spell of the game then followed, as Clemens clipped the wire on double top for a 115 checkout, allowing Clayton to take out five on double one to break straight back. Clemens found double 16 with his last dart in hand for a third successive break of throw to once again go within a leg, only for Clayton to land a hammer blow with a 136 finish for a fourth successive break of throw and a 6-4 lead. From there, Clayton was clinical on the doubles, wrapping up the final two legs of the contest to secure the title. 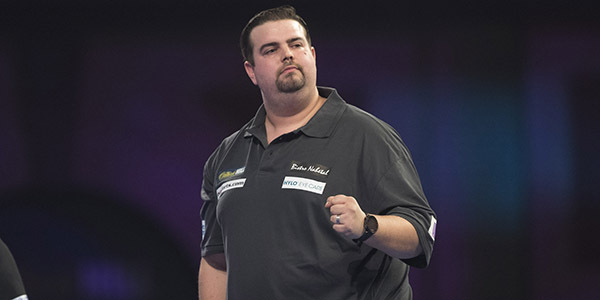 Despite defeat in the final, Clemens continued his progress by reaching his third PDC final in under a year, having won his PDC Tour Card in January 2018. The emerging German talent took the scalps of Joe Cullen, Jan Dekker and Mervyn King on his way to the final and is now up to 56th on the PDC Order of Merit, having started the year in 62nd position. Sunday once again saw 128 of the world's best players in action at The Barnsley Metrodome, with departing Dutchman Raymond van Barneveld exiting at the last 64 stage, while returning Australian Corey Cadby fell at the first hurdle. Adrian Lewis and Glen Durrant reached the last 32 phase, but it was a less successful day for Peter Wright, Michael Smith, Mensur Suljovic and Saturday's Players Championship 9 winner James Wade, who all exited before the last 32. Poland's Tytus Kanik enjoyed a run to the semi-finals of a PDC event for the first time, while Spain's Jose Justicia reached his first Players Championship quarter-final and Arron Monk reached the last eight of a ProTour event for the first time in almost seven years.